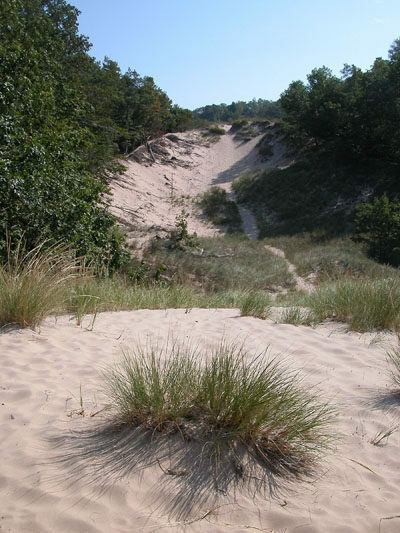 The best place to learn and study about Michigan's amazing sand dunes is at P. J. Hoffmaster State Park, where you can combine a visit to the Gillette Visitor Center, Michigan’s Sand Dune Interpretive Center, with a hike through the various life zones of a dune along the Homestead Trail. The Gillette Visitor Center was built in 1976 as a bicentennial project to serve as an interpretive center to the state’s most noted natural treasure. The two-story center is literally overshadowed by a huge, windblown dune that can be viewed from a glass wall on the west side of the lobby. Beginning from the visitor center parking lot is this 2.7-mile loop known as the Homestead Trail. The Homestead Trail circuit may look rugged, but the climbs are moderate and the route can be handled by children as young as 5 or 6 if you schedule in an extended swim or lunch break on the Lake Michigan beach. Most of the trail passes through a designated Natural Area and includes possible side trips to a Quiet Area, the park’s most remote corner. You also climb up a long stairway to magnificent views from the Dune Overlook Platform. Summer is an ideal time for this hike, when you can stop for a swim in the Great Lake, but it’s also the park’s busiest season. Many like to come here in spring or fall when the crowds are gone and there’s nothing on the beaches but sand, driftwood, and a bootprint or two. Homestead Loop is best followed in a clockwise direction by heading south from the trailhead off the parking area and ending at the trailhead behind the interpretive center. Those who hike it in the other direction often miss where the trail leaves the beach. The trail begins by climbing a wooded dune and then reaching a bench and the marked junction to the Quiet Area. This special area, reached by following the one-way, quarter mile spur to its end, is a deep ravine surrounded by steep wooded dunes that form a quiet escape for hikers. The main trail continues south to descend through the woods. Orange bootprints lead you along the Homestead Trail as it crosses a large, grassy meadow and then reenters the woods. At Mile 1 (mileage includes visiting the Quiet Area) you reach a well-posted, four-way junction where the hiking trail merges with a ski run. Head east (right) along the Homestead Trail and enter the park’s Natural Area along a wide path that also accommodates skiers in the winter. The trail begins with a gentle climb as it skirts the base of a dune forested in oak and maple. In less than a quarter mile of the four-way junction, you pass a spot where the dune has begun migrating across the trail. At Mile 1.7 you break out onto the Lake Michigan beach. For the next half mile, you follow the beach north along a natural path formed between the waves rolling in from the west and the sandy bluffs that box you in on the east. At Mile 2.2 a nature center sign mounted in a small hill of sand directs you back inland, where you quickly come to a boardwalk. The planked trail leads you into foredunes, and soon you ascend to a large interpretive sign. From the interpretive sign, you begin a quick climb up a sandy path that turns into another stretch of boardwalk. When it tops out, you’ll be in a well-shaded area, looking at a forested gully between two huge dunes. On the far side, it looks as if the sand is pouring down between the trees. Shortly, you reach the stairway that leads to the Dune Overlook Platform. You’re only a short way from the nature center and parking area, but don’t pass up the climb to the scenic overlook. It's 193 steps to the top where a pair of observation decks, perched 190 feet above Lake Michigan at the top of a large parabolic dunes, provide a sweeping view of Lake Michigan, its sandy shoreline, and, most of all, dunes. The sight of these dunes is a fitting end to a day spent hiking through them. 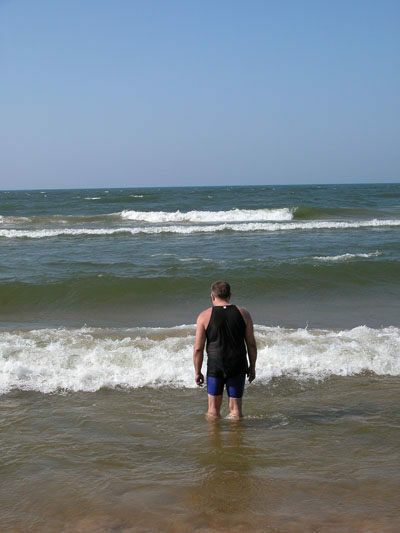 For the facilities available click on the Hoffmaster State Park home page. Gillette Visitor Center (231-798-3573; www.michigan.gov/gillettevc) is open from Memorial Day to Labor Day from 10 a.m. to 5 p.m. Monday through Saturday and noon to 5 p.m. Sunday. There are reduced hours the rest of the year. There is no fee to visit the interpretive center, but there is a vehicle fee to enter the park. 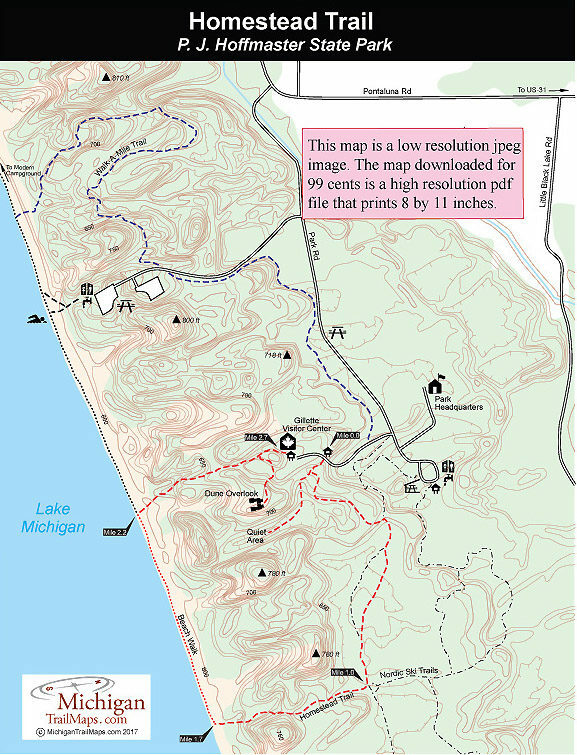 Hoffmaster State Park is located just south of Muskegon and can be reached from I-96 by departing at Fruitport (exit 4). Head south on 148th Avenue and immediately turn west (right) onto Pontaluna Road for 6 miles, until it dead-ends at the park entrance. From US 31, depart onto Pontaluna Road, halfway between Muskegon and Grand Haven, and head west for 3 miles. 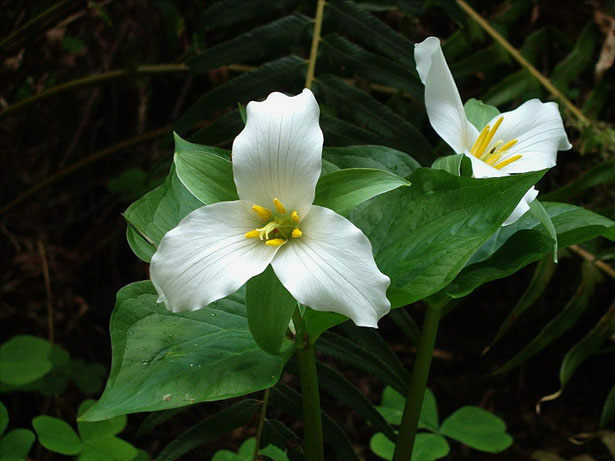 For more information on campground reservations or fees, call the Hoffmaster State Park headquarters (231-798-3711).